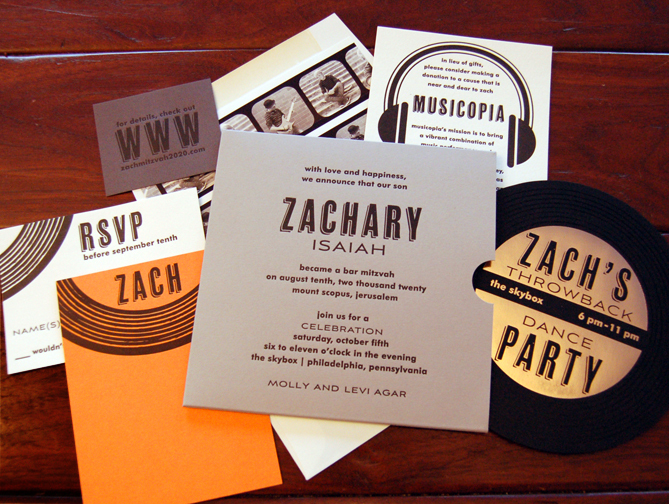 Are you planning your son or daughters Bar or Bat Mitzvah in Houston? 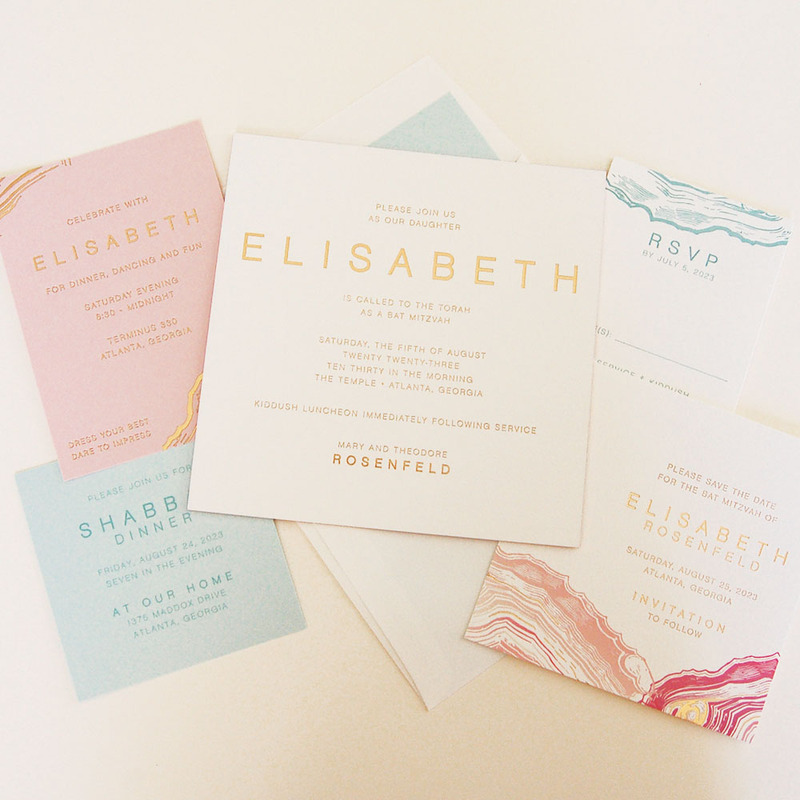 Then let DGZ Invitations and More take care of all your printed materials. 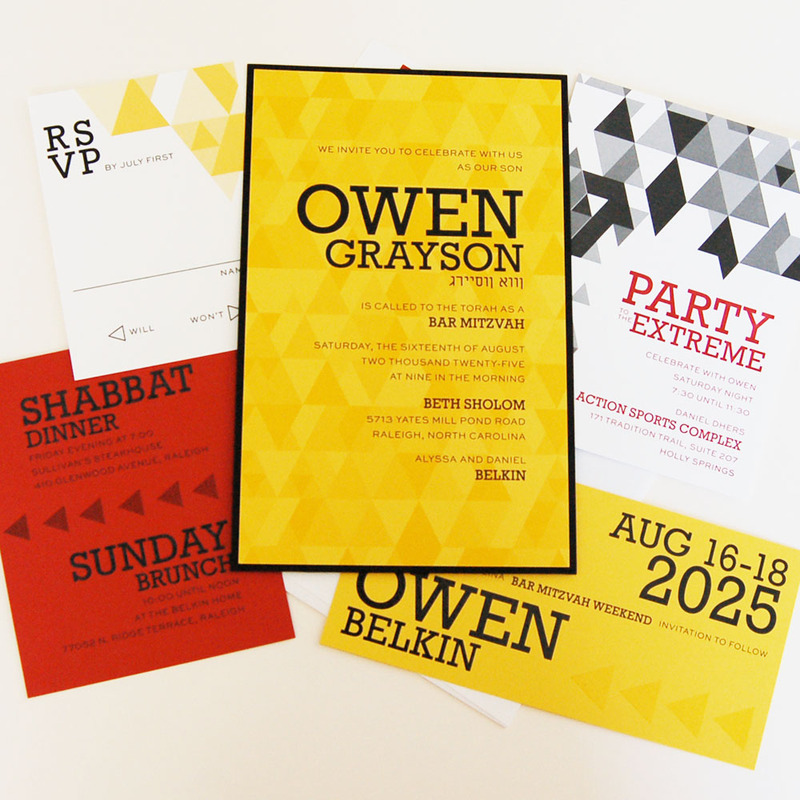 We are Houston’s Premier Invitation Studio and offers thousands of custom Bar Mitzvah Invitations, Bat Mitzvah Invitations, Bar / Bat Mitzvah Save the Dates, Custom Napkins, Placecards, Menus, and More. 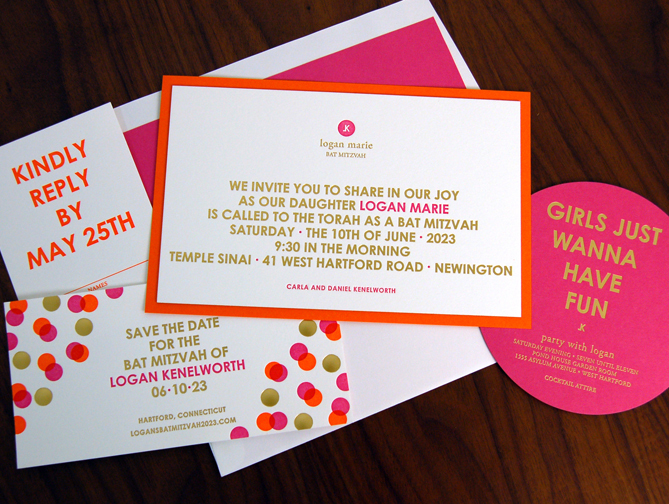 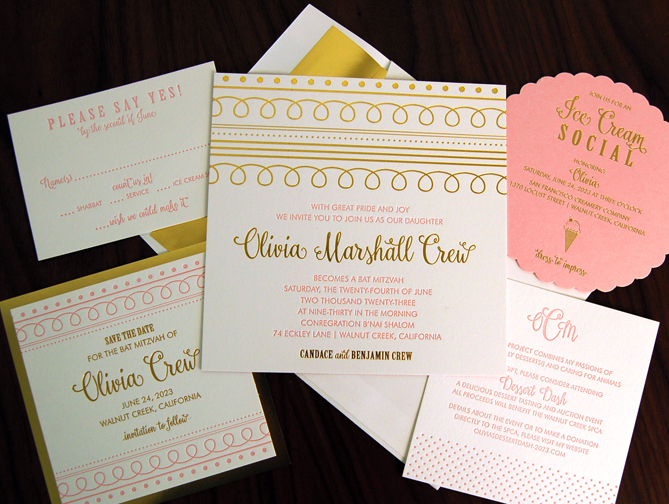 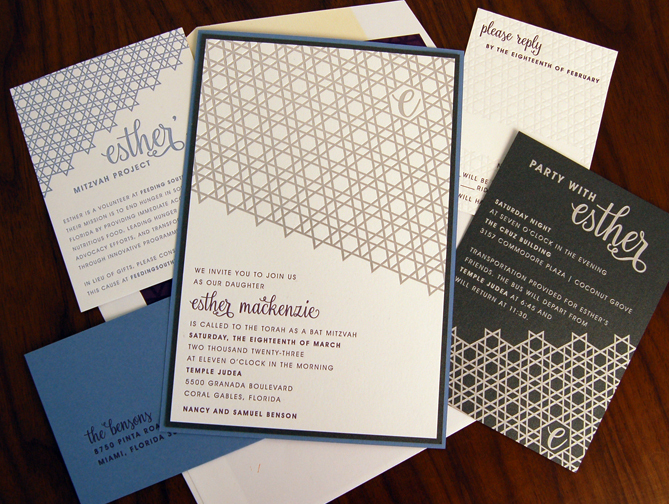 You have nothing to lose by setting up a free appointment to view hundreds of Houston Bar / Bat Mitzvah Invitations. 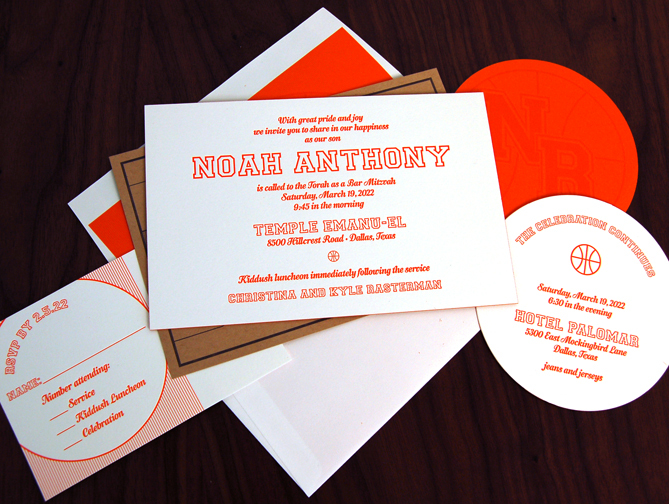 We have Houston’s largest selection and offer it at a fantastic value. 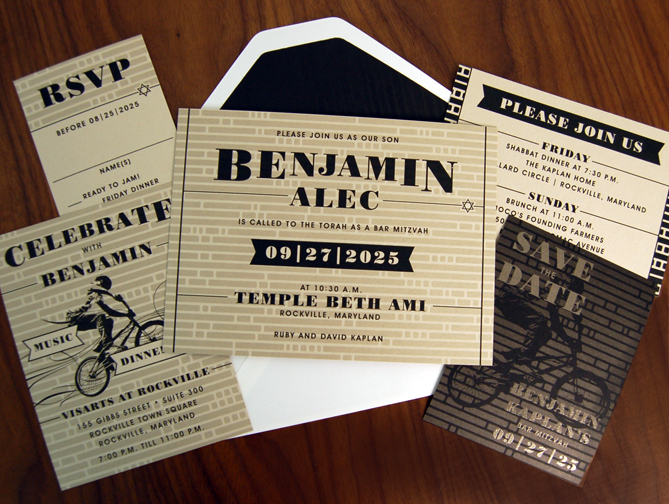 So if you are looking for high-end, top-notch quality bat / bar mitzvah invitations along with save the dates and other b’nai mitzvah printed materials in Houston, please give Debbie a call at 713-823-3808 to set up a free appointment to Houston’s Invitation Showroom - DGZ Invitations and More.